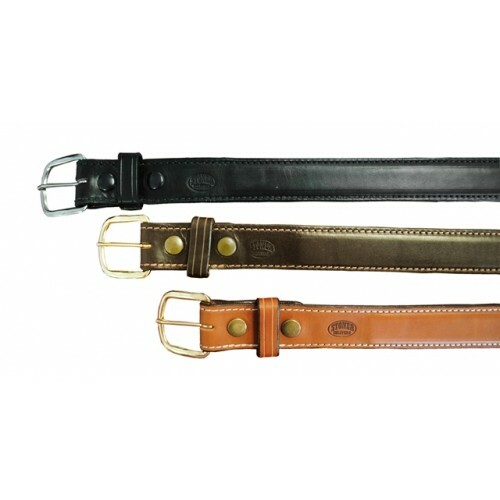 The Stoner leather Gun Belt features a removable buckle and stitched edges. 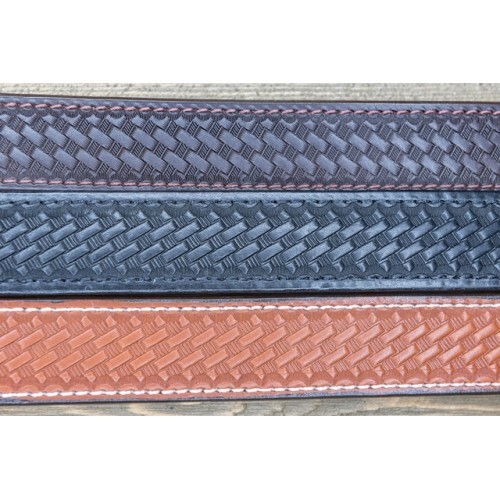 A polymer insert beveled and inserted inside of the leather belt. This acts as a stiffener to support the weight of your gun for maximum concealment. 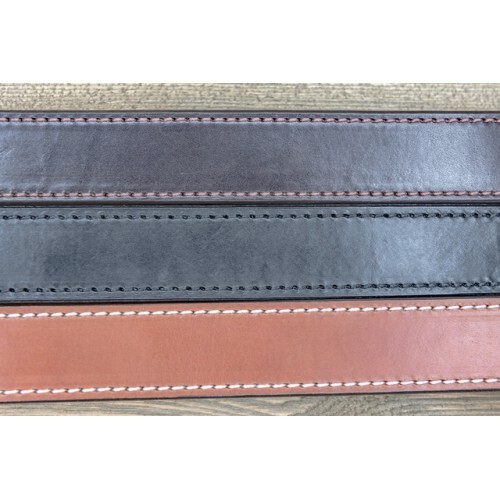 The stiffener starts near the snaps on the buckle side and stops short of the belt holes for ease of use and to minimize wear and tear. To properly find out what size you need, measure around your waist line. Simply comparing it to your previous belts may not give you an accurate size, due to various reasons such as stretching. Polymer stiffener inserted inside of the belt for additional support.